Our expert team and a host of our specialist instructors and partners will be providing a range of inspirational workshops in and around the HUB of the festival in Corfe Castle. 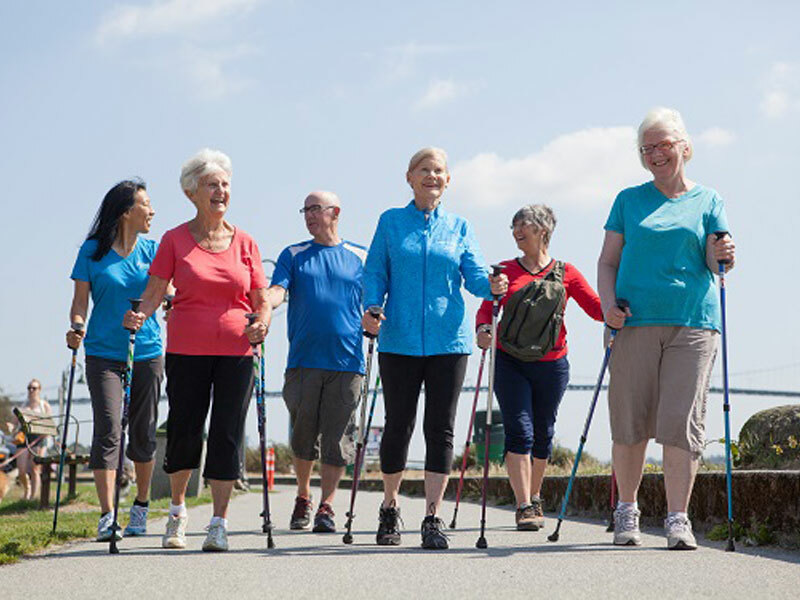 Come and find out what Nordic Walking is all about, how we can adapt it for children, wellbeing and tougher workouts plus how you can get involved. If you are a keen Nordic Walker you can brush up your technique, gain a freedom passport or experience beach sessions. Some workshops don’t even require poles! 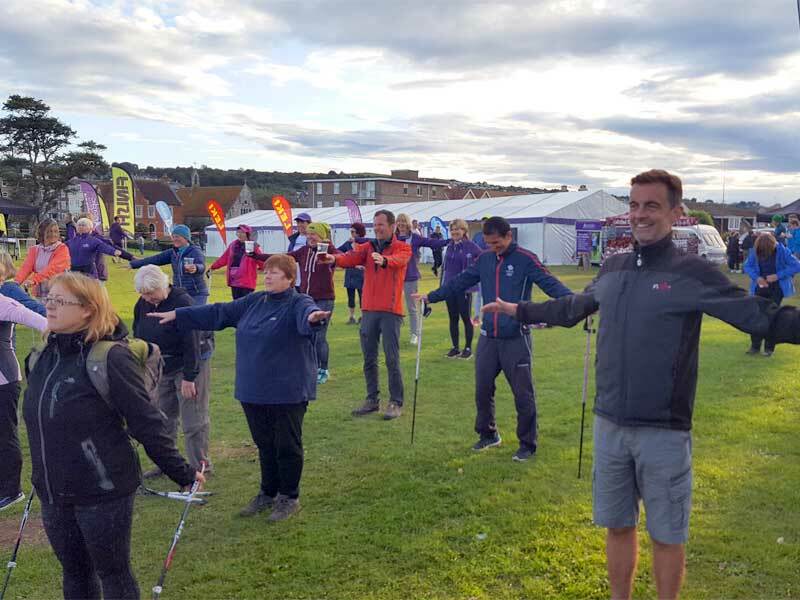 Beginners are welcome to come and try Nordic Walking with the NWUK team and local Instructors throughout the Festival weekend We will be holding regular Taster sessions so if you want to see what all the fuss is about book in for 45 minutes that will change your view of walking with poles…forever. 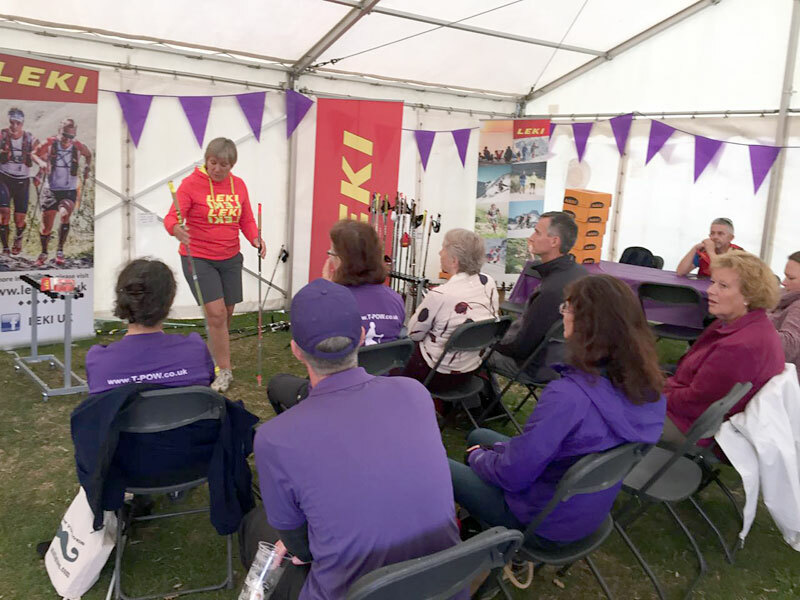 For those NEW to Nordic Walking, we have the opportunity to come and learn at the Festival and to gain the FREEDOM passport. You will be able to join the NWUK experts for a Fast Track tuition courses conducted over two 1.5 hour sessions in the morning with access to suitable walks during the afternoon. 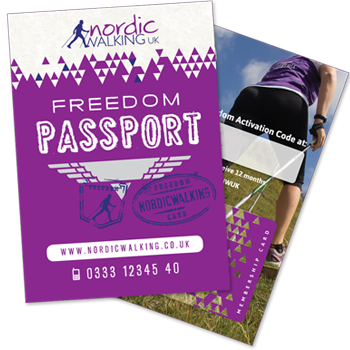 You will do your tuition sessions at 9.30 on the Saturday and Sunday and be able to participate in any sessions on the Saturday pm and all day Sunday (subject to gaining the passport)..
Are you a regular nordic walker but have never gained your NWUK FREEDOM passport? These 1.5 hour conversion sessions will bring you bang up to speed on the latest 4 gear technique method so you can book on line and participate in our massive programme of walks across the UK. 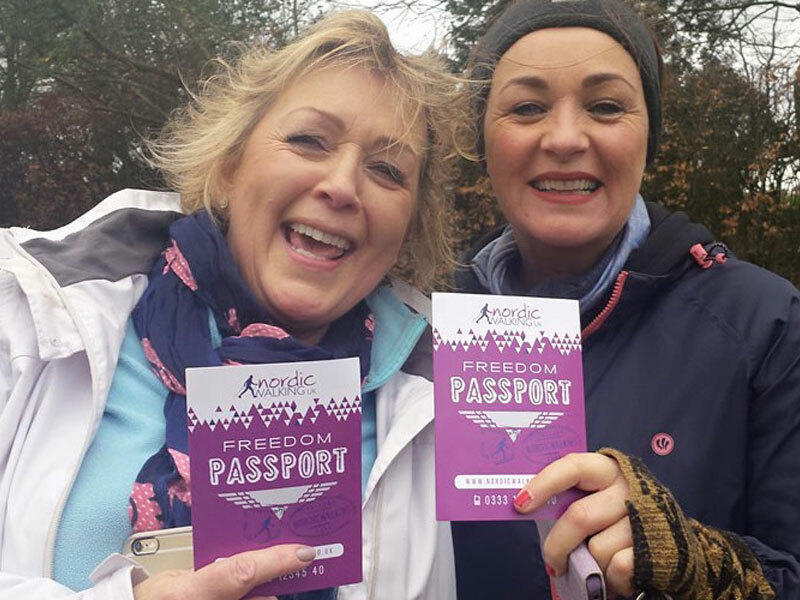 Passport also provides FREE membership of Nordic Walking UK. Note this session is NOT suitable for beginners and the Instructor will advise within first 15 mins if they think you would benefit from a full tuition course. A MUST if you are planning to join our Challenge events on the Saturday! Our experts will help you to prepare physically and mentally for these events plus any you might do in the future. Packed with tips about the routes, what to carry and wear, and even what to eat the night before! Hear from those who have completed the routes, ask all those burning questions and stock up on last minute essentials like energy bars and padded socks! The NWUK team will also provide guidance on mental training for endurance events which will help you get going when the going gets tough! Canicross or running with dogs on a harness is growing fast in the UK but NWUK Instructor Janine appreciates that not everyone can or wants to break into a run – to that end she has combined her Canicross Instructor training with the NW technique to create sessions she calls “Pawdic Walking”. In this workshop she will share some tips for walkers and instructors who may want to include dogs in their daily Nordic walks! 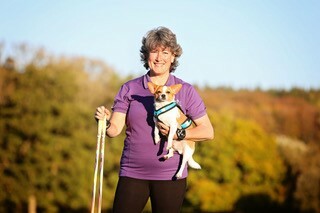 Janine and her trusty little pooch will demonstrate how using a waist harness and simple commands means that you can enjoy a Nordic walk with your dog without the worries of letting them off the lead. You are welcome to bring your own dog along too (Must be over 12 months old) and you will marvel at how training them to pull and stay in front can create a great way for you to both exercise without damaging the traditional training of walking to heel as taught in Puppy classes. Come and learn the basic principles of harness training, commands and voice tones plus coaching on how to ensure they focus and react at the correct time. It is key to focus on posture, technique and strength not speed. slows the aging process, live longer (a lean dog lives, on average, up to two years longer than an overweight dog). more responsive with commands and other training (agility, obedience, etc). less aggressive (good for socialisation). relaxed owners who have dogs with selective hearing. At the end of the workshop Janine will advise Instructors about further training they may require, insurance and the do’s and don’ts of encouraging dogs on walks. 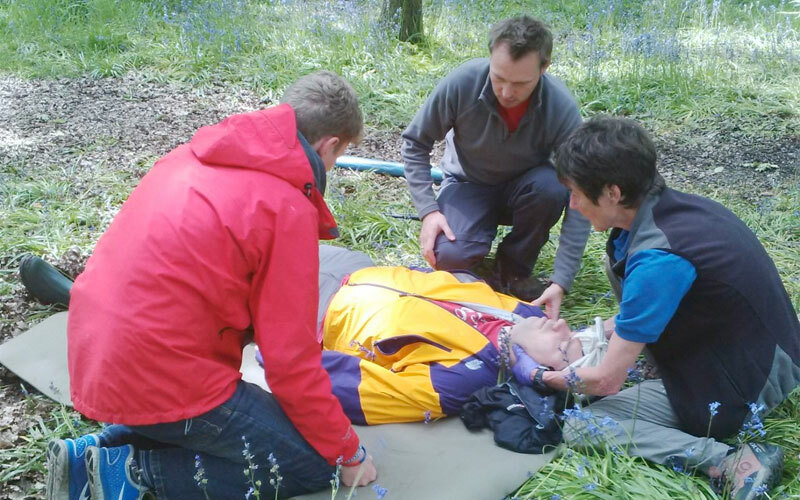 When out on a NWUK listed walk you can rest assured your Instructor/leader is first aid trained and able to perform CPR but would you feel as comfortable if an incident occurred in the street or when out walking with Family or Friends? Join our experts to master some simple basic skills that could save a life. This fun workshop is NOT a lengthy first aid course but it will empower you to act if you had to. A few simple tips that can literally be the difference between life or death – got to be worth and hour or so of your time? We all do our basic stretches at the end of a walk but do you really know WHY? This workshop will help you appreciate how keeping muscles long and supple can improve joint mobility, lessen pain and even make you stand taller! Our experts will show you how to maximise on those basic stretches and learn how to include stretching into your daily life. You will be glad you did and you certainly won’t skip or cut short the stretches at the end of a walk after this workshop! Just like driving, we Nordic Walkers can fall into bad habits when it comes to technique and could do with a refresher once in a while. 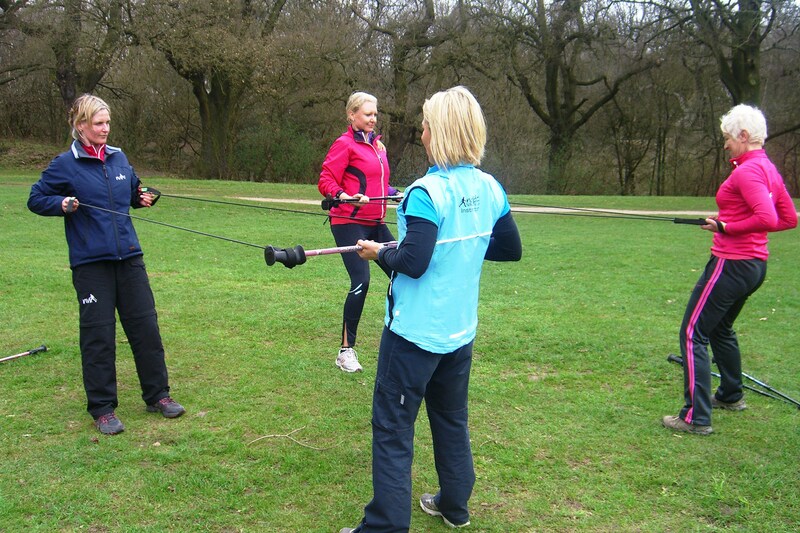 Even with the strictest Instructor on hand to correct you, a chat with fellow walkers or lovely view on a walk is likely to lead to a slide in the effectiveness of how you swing the arm, plant the pole and push through your straps! This session will help you to correct any obvious faults and get back to basics of effective technique. 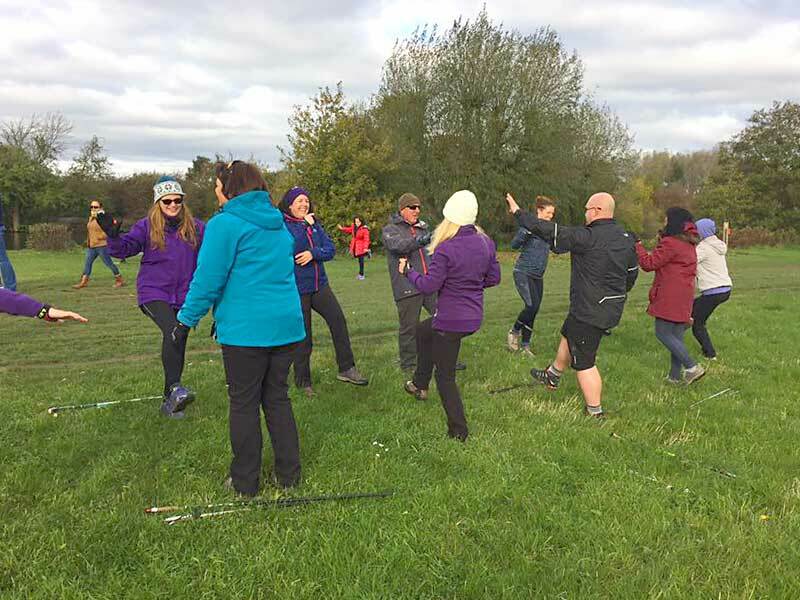 Our experts will assess your Nordic Walking technique and give you some drills to work on so every pole plant gets more benefits in future and you can go back to your group looking like a master! 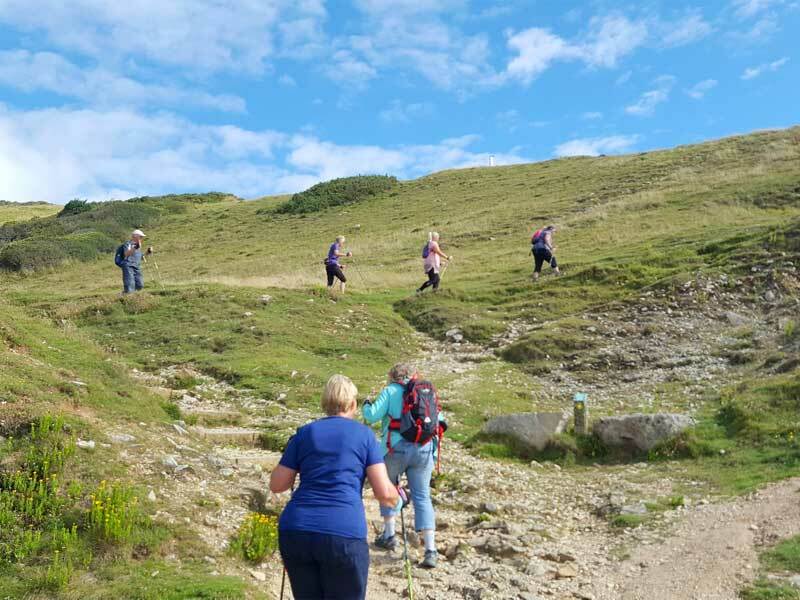 Join Paul Goddard on a gentle walk which incorporates some of the classic moves of Tai Chi and ancient body training system that is known to address the key components of fitness (muscle strength, flexibility, balance, and, to a lesser degree, aerobic conditioning). Experience how Tai chi can improve both lower and upper body strength with these simple moves that fit seamlessly into a gentle and stress reducing walk- Bliss! 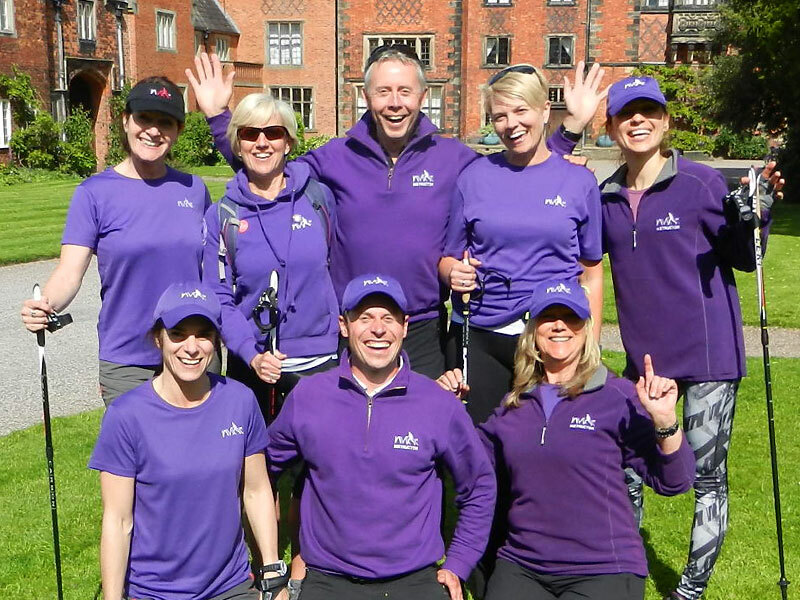 Want to up the ante with your nordic walking? This class will certainly add another dimension to the workout gained from your poles. Not for the faint hearted, this workout class will have you pushing pulling lifting and puffing as you add resistance and strength exercises to a circuit based nordic walk! Speed drills and functional exercises are included in the NWUK ultimate nordic format which is fast furious but a lot of fun too. 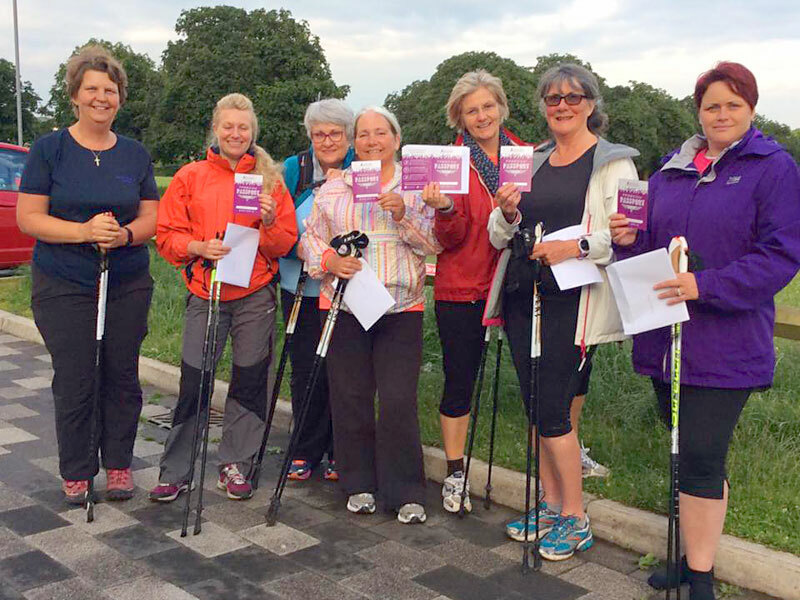 Join the NWUK Tutor team and learn how to get the most form Nordic Walking technique. Be amazed at how a few tweaks to your technique will provide an immediate difference to your speed and comfort plus long term improvements to posture and results. 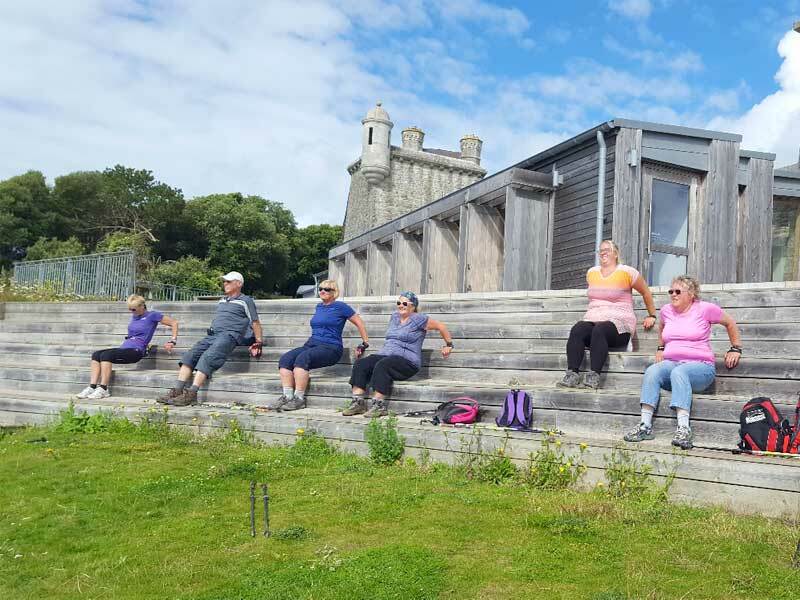 Join NWUK for a one hour workshop that incorporates the postural and core exercises usually performed indoors into an effective outdoor workout with Poles! Take the chance to take a breath, move, and simply enjoy being outdoors. This Yoga based class incorporates the Nordic Walking poles by using them to provide stability, resistance, and challenge to the exercises. The class is suitable for complete beginners through to those with experience as the instructor offers adaptations for exercises to enable you to work at a level which is right for your body. This 1 hour class finishes with a short Nordic relaxation walk taking in the sights, sounds, and fragrances of the area. 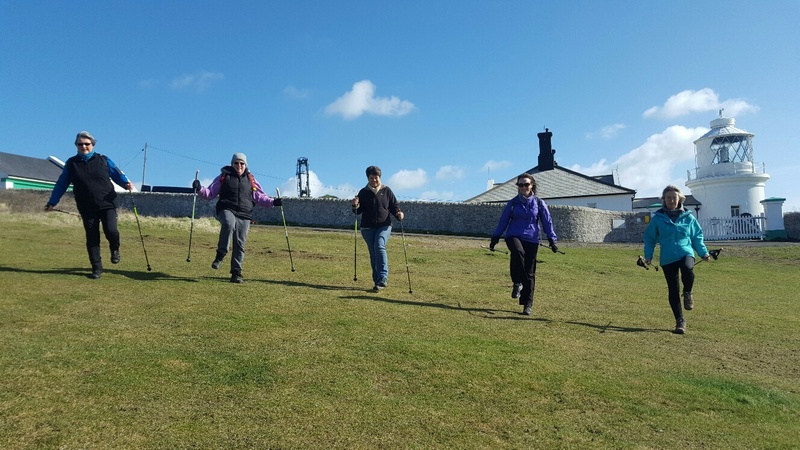 A lovely combination of gentle but effective exercises that will compliment nordic walking and provide you with the skill to maximise your poles forever more! 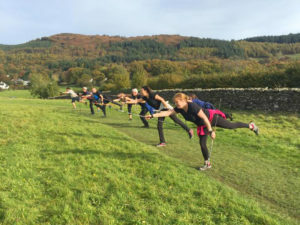 Devised by NWUK Director Gill Stewart who has runs a weekly class called Hills and Drills on this circuit, this session has it all speed, balance, intervals, endurance training, technique, strength, flexibility and even mindfulness! NWUK Delivery Partners will put their own take on Gills circuit which provides a myriad of ways to make you work hard! What is speedhyking? 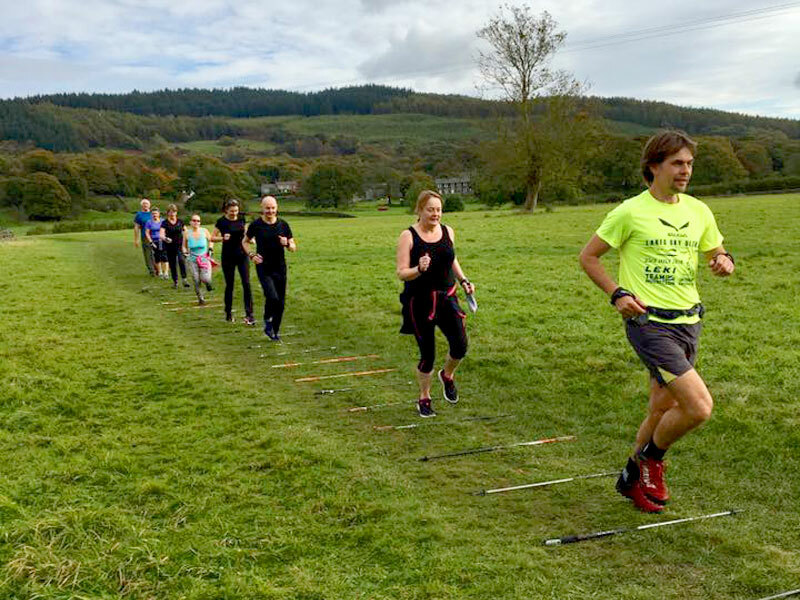 This workshop will explain how it differs from Trail running and Nordic Walking plus look at how to utilise poles to cover ground at speed. Whether that is running on the flat, climbing a tough hill, bounding over rough terrain or skipping down a slope! 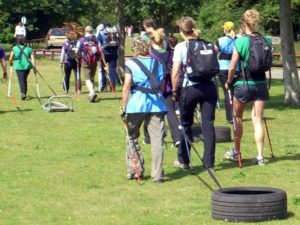 This NEW and exciting sport is gaining traction all over Europe and is spot on for the Nordic Walker who wants to combine their NW technique with the freedom of running or increasing speed from optimum walking pace on occasion. What is a map? This session will teach you about scales and symbols. 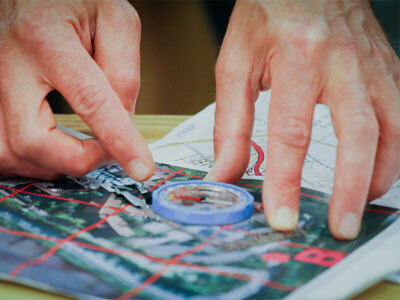 Using simple and fun practical exercises the mystery of maps will be discovered. 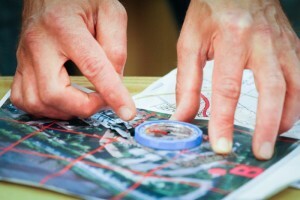 A fundamental skill for any navigator is being able to orientate a map. You will be taken through the stages of how to orientate a map using different methods and by the end of the session you will understand and be using a basic map skill confidently by yourself. Confused by compasses, bearings and measuring distances? This workshop will take you through practical, easy and fun tasks to understand how the compass works along with additional tasks that you can use the compass for. You will take part in simple practical games and activities using the compass and you will be able to personalise your pacing to measure distance accurately. If you didn’t know that Naughty Elephants Squirt Water, then come and find out why! Join the NWUK Ski fitness specialist Nics to master the essential elements of fitness required to make skiing enjoyable and less painful! Nics will show you why you need to work on balance, weight transfer, stamina, flexibility and endurance if you want to maximise your time on slopes and be able to stay awake in order to enjoy the apres ski! Have you ever SMOOVED? If not here’s your chance to experience the invigorating feeling provided by these rings which vibrate as you move them and also provide resistance! 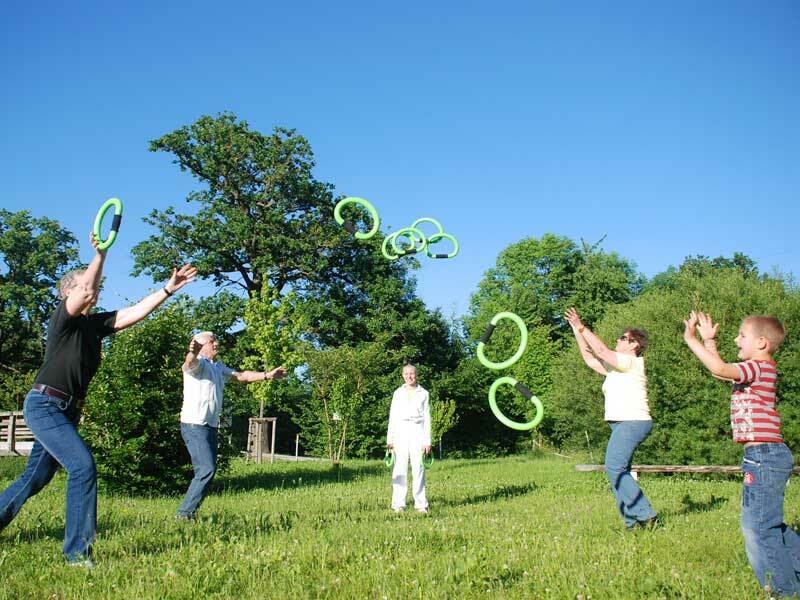 Come and try some of the basic ‘Smooves’ which you can incorporate into walks or as a daily whole body regime. Originally designed as a tool for those suffering from Parkinson’s disease because they are great for encouraging movement and neuro receptors, they are now a recognised effective fitness tool for all levels. This session is for NW Instructors, Physios and professionals interested in pole walking in a clinical or rehabilitation setting. Join our rehab specialists to look into the adaptation of pole walking and why strapless poles are proving to be highly effective. 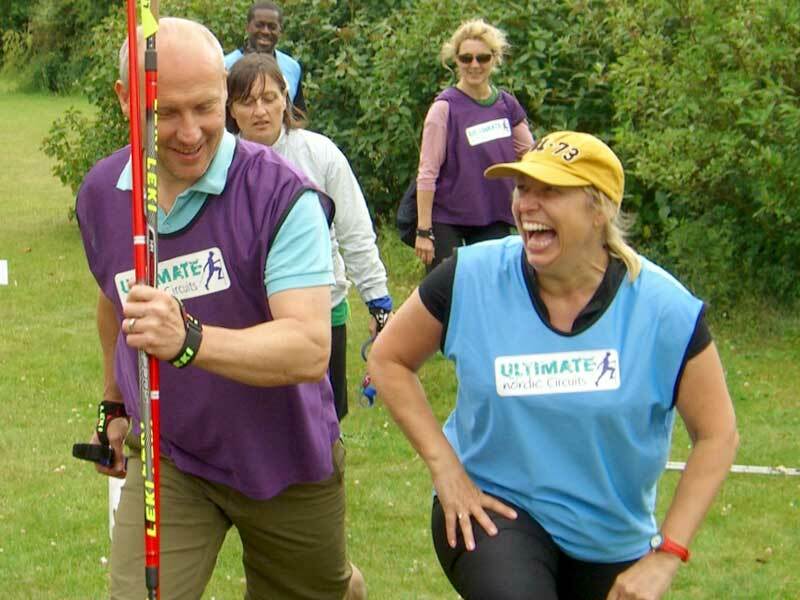 Following extensive work with partners in the fields of falls prevention, neurological disorders, stroke rehabilitation and other conditions, NWUK now often find these poles are preferable to the typical nordic walking pole which the participant is strapped into. This workshop explores this rationale which is based on features such as the ergonomic easy grip handle, postural/balance support, shorter learning curve and the risk of complications in the event of a fall. 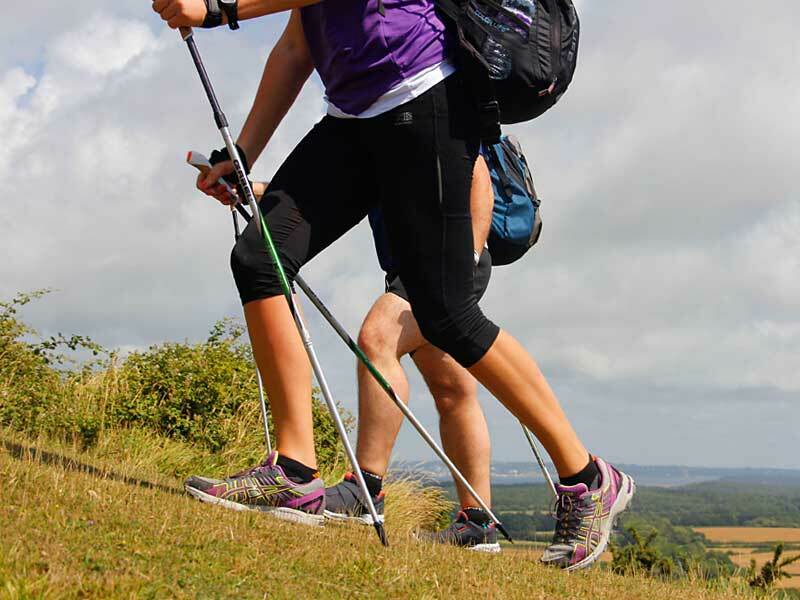 Want to understand everything there is to know about Nordic Walking poles, shoes and gadgets? Our retail team will be on hand to help you to appreciate pole research and development and they will be showcasing innovations such as the Lesu paws and latest kit. Come and feel the difference between carbon and composites, try a range of paws and find out why certain shoes make your nordic walking experience more effective. 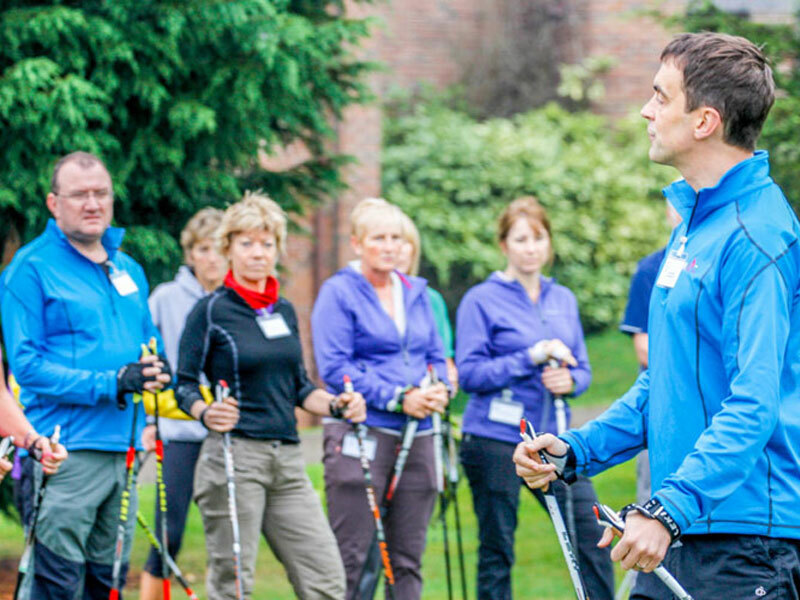 This is your chance to ask those questions you have always wanted to ask plus learn how to maintain and add to your nordic walking kit. 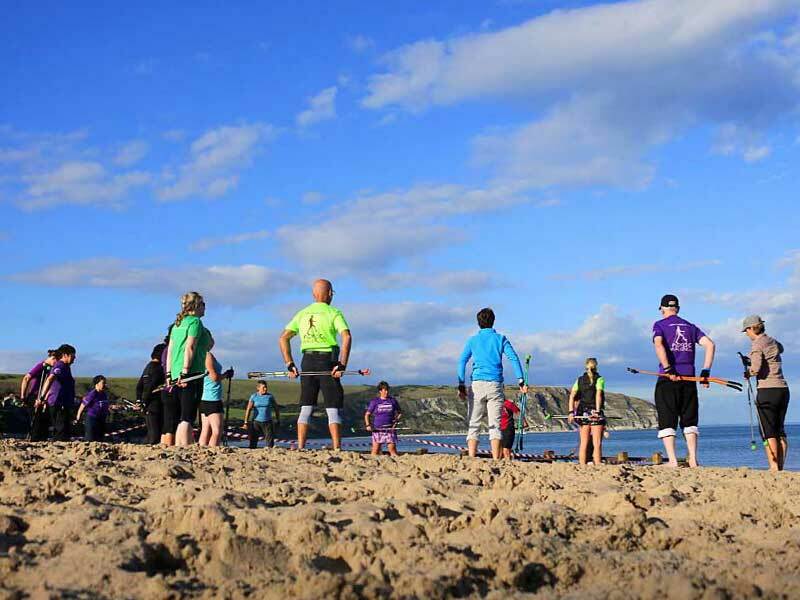 Join the NWUK Tutor team to learn how to master beach walking. Simple tips to make it easier or HARDER depending on the results that you want. Explore the pole types and tips plus expert ways to turn the shifting sands into a workout that beats all others. The Power of Purple – join our team! The NWUK community is rapidly expanding across the UK and there are opportunities for YOU to become more involved. Our vision is to create the largest and friendliest exercise club in the UK where everybody can join in at any level, anywhere! As you can imagine, that’s a tall order and we need more INSTRUCTORS, LEADERS and EVENT VOLUNTEERS to help us achieve it. 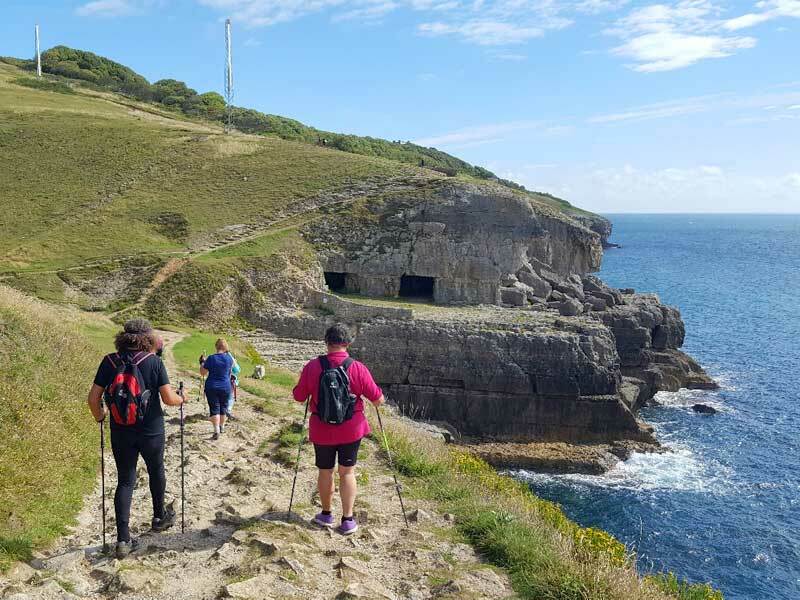 FREEDOM Programme and Passport process plus how we desperately need more Instructors and groups to get involved – So whether you fancy setting up a group, leading the occasional walk or representing NWUK locally or regionally we want to hear from you! The Camino Frances (St. James’s Way) is a 500 mile pilgrimage ending in Santiago de Compostela, Spain. Pilgrimages are on trend at the moment, but why? 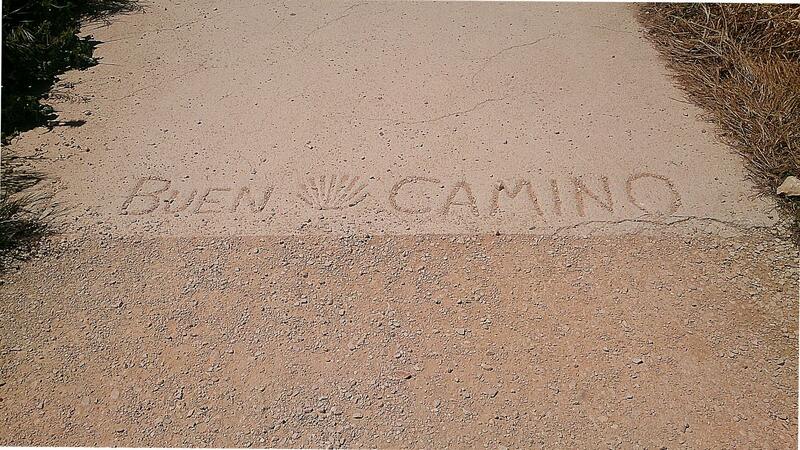 What’s so special about this journey, and how does the Camino change your life? In this talk, Julia Doherty from The Adventure Geek will share with you the answers to these questions and also has lots of handy tips for those who are interested in walking the route. It is a tale of two journeys. The Inner Journey and the Outer Journey.